Video: The Fastest Tortoise Ever Chases A Pit Bull. The Dog's Reaction Is Hysterical! Video: The Fastest Tortoise Ever Chases A Pit Bull. The Dog’s Reaction Is Hysterical! Over the years we have seen a wide variety of odd animal couples. From cheetahs and lions hanging out with dogs to donkeys and goats becoming inseparable. Meet the latest pair, an American pit bull terrier named Dolly and a sulfate tortoise by the name of Sheldon. The two have fast become best friends ever since they were rescued from the Humane Society of North Texas (www.hsnt.org/) by their awesome human friend. The six year old turtle and three year old dog love to play and romp around together in the grassy yard. Dolly can be seen in the video barking as Sheldon speeds towards him. Dolly crouches low and smiles at her friend before side stepping out of his way. Little Sheldon is relentless and continues to hone in and bear down on Dolly but cannot quite seem to catch her. It looks like they could go back and forth for hours toying around and larking about. In fact, according to their owner, oftentimes Dolly will try to get her turtle pal to play with her favorite ball but Sheldon has yet to show any interest in doing so. The pair are further proof that rescue animals often thrive and go on to fulfill long happy lives. They clearly have looked past their differences and accept each other regardless of species. And can you believe how fast Sheldon is?? He must be on TGH- turtle growth hormone! 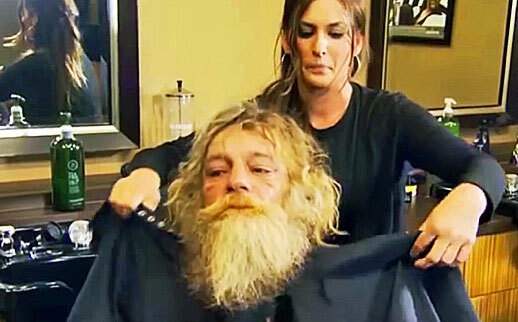 He Has Been Homeless For 7 Years But After His Makeover His Transformation Is An Unexpected Surprise! 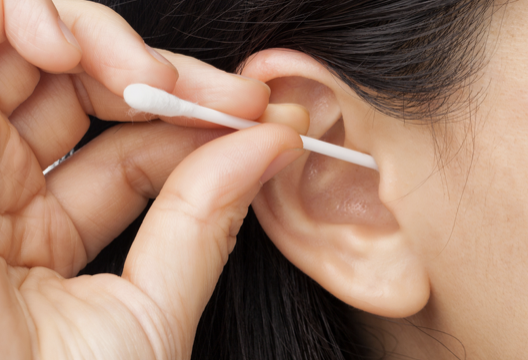 After You Read This Article You Won’t Clean The Inside Of Your Ears Ever Again! 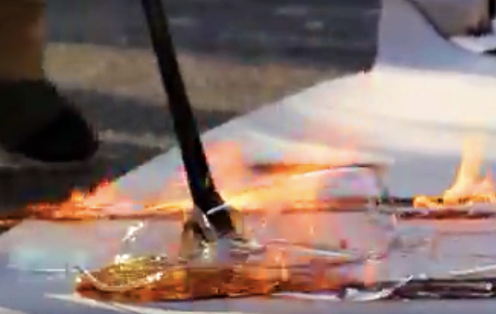 She Uses A Stick With Glass On Fire and Presses It Onto Paper. The Result Is An Unexpected Surprise! 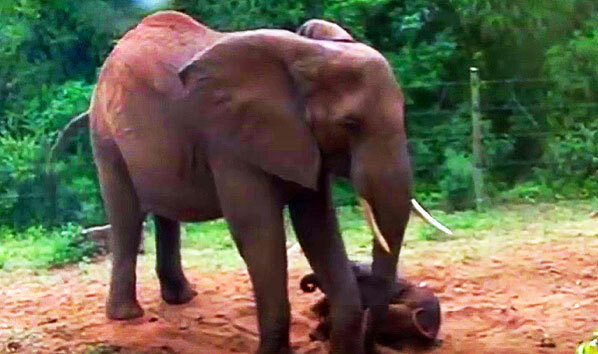 Pregnant Mama Elephant Gives Birth To A Baby. Now Keep Your Eyes On The Right Side Of The Screen! 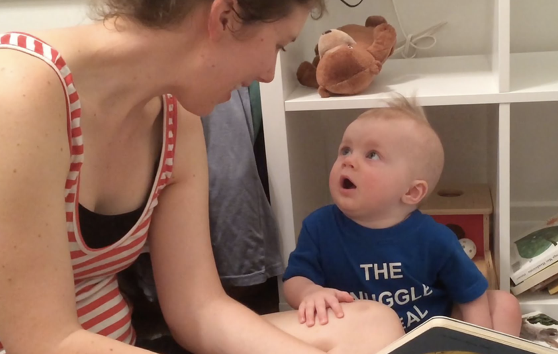 Mama Finishes Reading This Book To Her Adorable Little Baby. Now Watch His Unexpected Reaction! 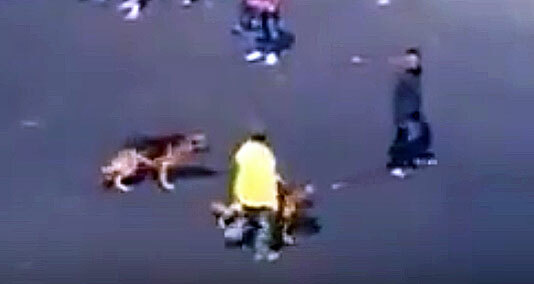 He Thought It Was Funny To Throw A Brick At 2 Dogs. He Wasn’t Ready For This Unexpected Surprise! © 2019 Sun Gazing | May all beings be released from suffering.